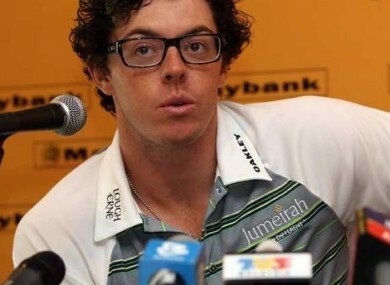 After a disappointing finish over the weekend, Rory McIlroy seems to have unearthed his inner hipster on the 30 hour journey from Augusta to Malaysia. Despite the long journey and disappointing end to his Masters dream, the Holywood star seemed upbeat at the press conference when he spoke to reporters from behind his new thick rimmed glasses. “It was a long journey, about 30 hours, but I’m looking forward to getting back on the saddle and putting last week’s disappointment behind me,” he said. “I’ve been excited about this event and never had any intention of pulling out. McIlroy will tee off at the Malaysian Open in the coming days.